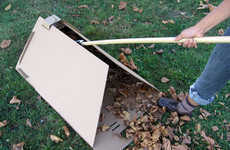 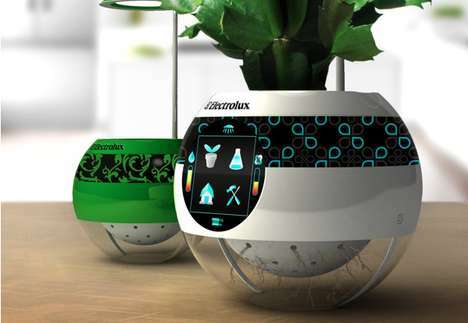 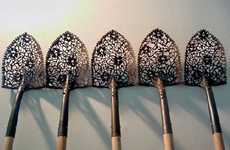 The Divi Shovel by designer Jo Sumin has given the horticultural world a sneak peek into gardening convenience. 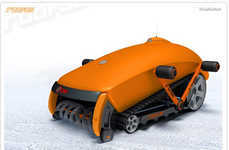 The four-in-one Divi Shovel is two types of shovels, a hoe and a broom all rolled into one futuristic silver design. 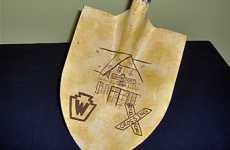 This delightful shovel reduces shed travel time, as well as making gardening look a whole lot cooler. 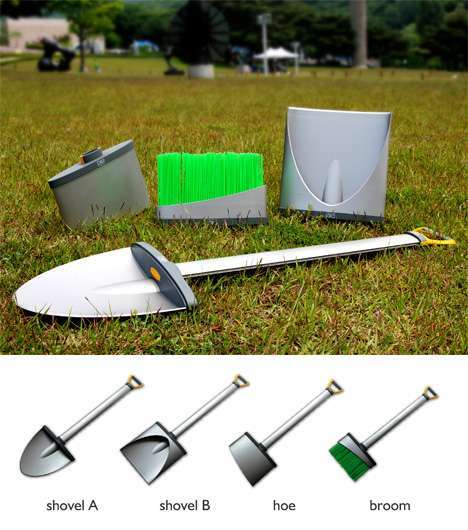 The neatly compact Divi Shovel can be sported on the back for transportation using a sturdy strap or hard at work in the palm of your hand safely handled by your green thumb.